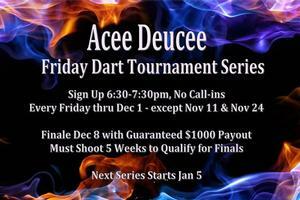 Final Tournament December 8 with guaranteed $1000 payout. 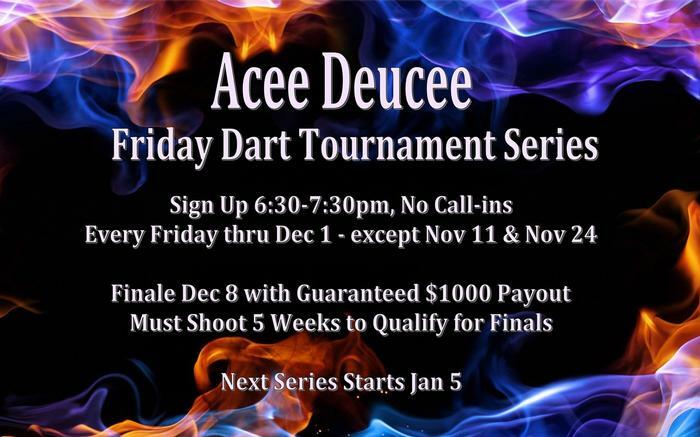 Must shoot in 5 of the 10 weeks to qualify for the final tournament. Sign Up 6:30-7:30pm, no call ins. Next tournament series starts January 5, 2018.